This silk is one of the prints from Mood that I picked up form the Fabric Depot outdoor sale a while back. I only had a yard of it, so I decided to make a simple pullover blouse from one of my Japanese pattern books. 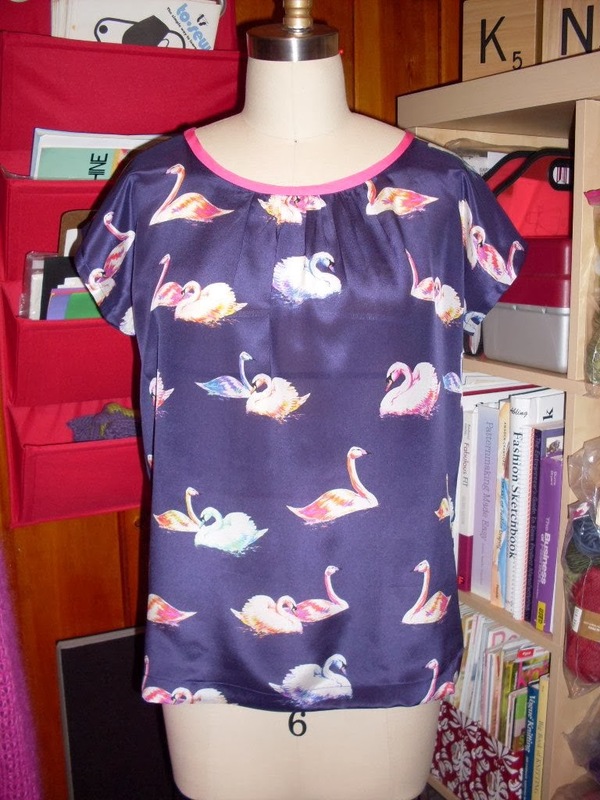 I didn't have enough fabric to make the neckline trim, so I just used some contrasting neon pink silk that I had in my stash. There are a short row of gathers on the front and the back and simple dolman-style sleeves. It was a super quick project and I love it!